Only someone with an outsized ambition and hefty wallet could build a 175,000 square foot mansion in the wilderness. George Vanderbilt was that person, constructing what is still the nation’s largest private home. His wife, Edith Stuyvesant Dresser, was his partner, completing the house and saving it for posterity. Kiernan evokes the grandeur of Biltmore with sumptuous descriptions of the structure and landscape that were formed out of nothing. 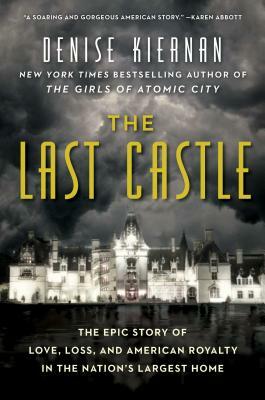 Biltmore House is the starring character in this fascinating history.